You do not have to be a history buff to enjoy Roman sights. The Roman empire which started 27 B.C had its fall in the 4th century AD. The Romans got as far as Bath, United Kingdom, Lower Egypt and Northern Africa, Portugal, lower parts of Germany and Turkey. While there are many places where you can find Roman ruins, it seems every city in the Mediterranean has some sorts of arcs or Roman columns to look at. Below are my favourite Roman sightings! 1) Rome, Italy: Here you will find where it all started. Starting with the Colosseum, the Pantheon, Castel Sant’Angelo, and of course the Roman Forums to name just a few. 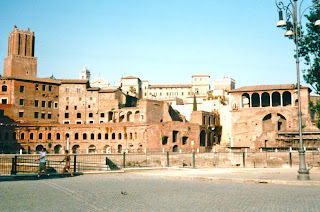 You can easily spend a week in Rome and not see all that ancient Rome had to offer. 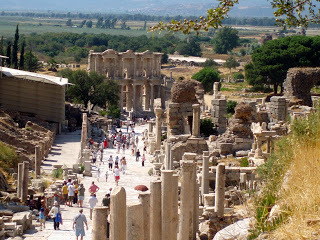 2) Ephesus, Turkey: Probably the best preserved Roman city in the world. The highlights of Euphesus are Nike, Library of Celsus, Temple of Artemis, the Roman theatre and ancient baths. 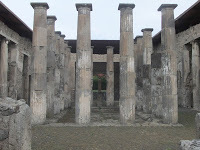 4) Pompeii, Italy: and ancient city only a few hours away from Rome, which was destroyed during the volcano explosion of Mount Vesuvius in 79 AD. You can see the ancient streets and houses and even the plaster casts of victims also known as “Garden of the Fugitives”. While sad and disturbing a great representation of what life was during the Roman Empire. 5) Bath, England: An unlikely place to view Roman civilization however, it has one of the most impressive collection of Roman Baths. Beautifully preserved and in a small quint town in South West England. What are you top Roman Sights?? ?